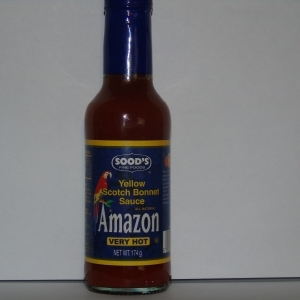 The Scotch bonnet Peppers are named for their resemblance to the Scottish Tam O’Shanter hat. 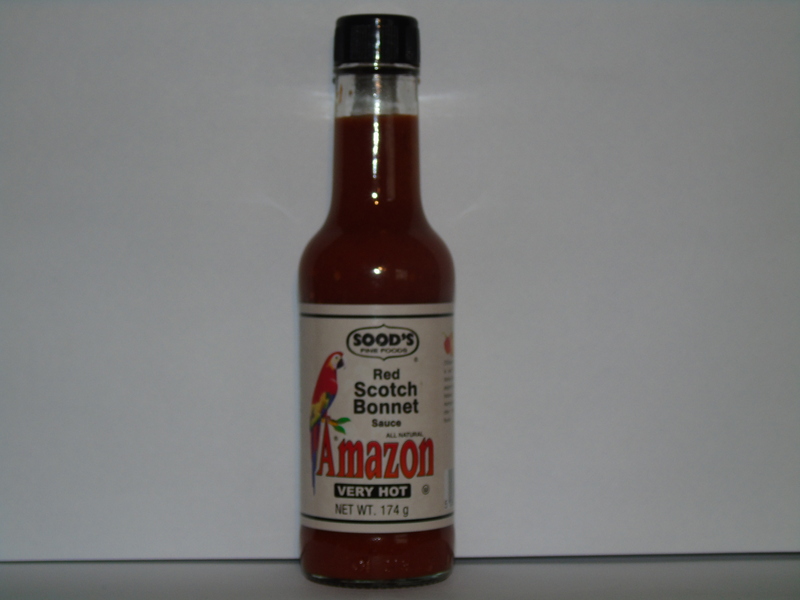 Our very special sauce is used to flavour many different dishes and cuisines worldwide. These peppers have a distinct taste from its habanero cousin, giving jerk marinades and other Caribbean dishes and unique flavour. An excellent hot, yet fruity sauce. A complex flavour hit of sugar and sweet hot pepper with a delicious fruity tang. Excellent as a marinade base with olive oil and sea salt, and just as delicious on a cheese sandwich ! One of the best ready to use sauces I’ve ever tried. Very Hot as you would expect but with lots of scotch bonnet chilli flavour. I am so often disappointed with so called hot chilli sauces and their lack of taste, just burning hot. Not with Sood’s though. 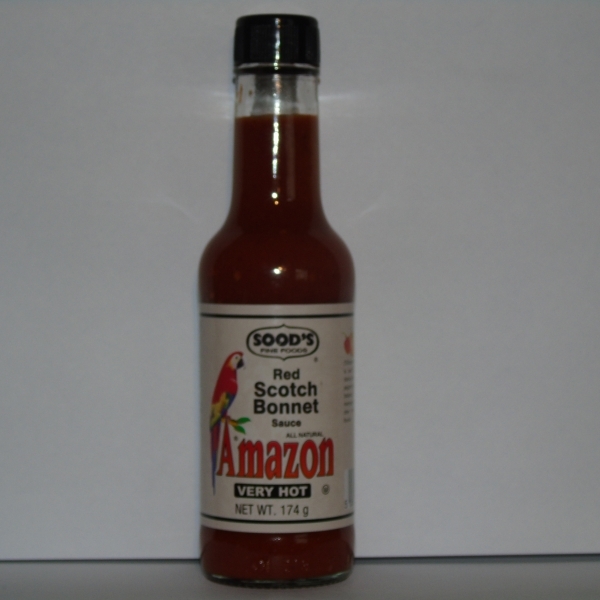 I really love it and can definitely say it is the best scotch bonnet pepper sauce I have ever tasted. As well as with cooking and food it really enhances the best Bloody Mary recipes. Very hot and very tasty. I drained my bottle quickly but am having problems finding suppliers on the high street. 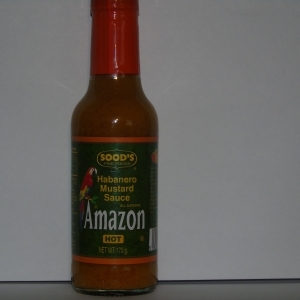 May be forced to order more over the web, which is unheard of for me for a bottle of sauce.